We can ship UPS: 3-Day Air and UPS: 2-Day Air upon request. Additional charges will apply. $80.00 + $10 per additional pair rate for all international customers. $10 for each additional item. All items will be shipped UPS: Worldwide Expedited, or USPS: Priority International. $30.00 flat rate for all Canadian customers- unlimited quantity. All items will be shipped UPS: Worldwide Expedited, or USPS: Priority International. We allow returns and exchanges within 30 days. If item received was damaged in any way, we will replace it with a new pair after the initial item has been received. A 15% restocking fee will be applied to all returned products. 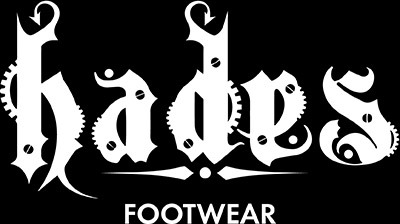 Please send us an email at info@hadesfootwear.com if you have any questions.